There is something to Vince Vaughn that we can’t quite pinpoint. He is a fast-talking, smooth-talking, charismatic guy with a darkness behind his eyes. We feel like Vaughn could either be our best friend or the guy who hides in our closest and murders us. Vaughn’s career has spanned over 30 years and he has played a vast-array of roles. He has been a good guy and a bad guy, a lover, a fighter, a killer and more. Vaughn can make audiences laugh or cry. He’s been the brother of Santa Claus and he’s been an intern. 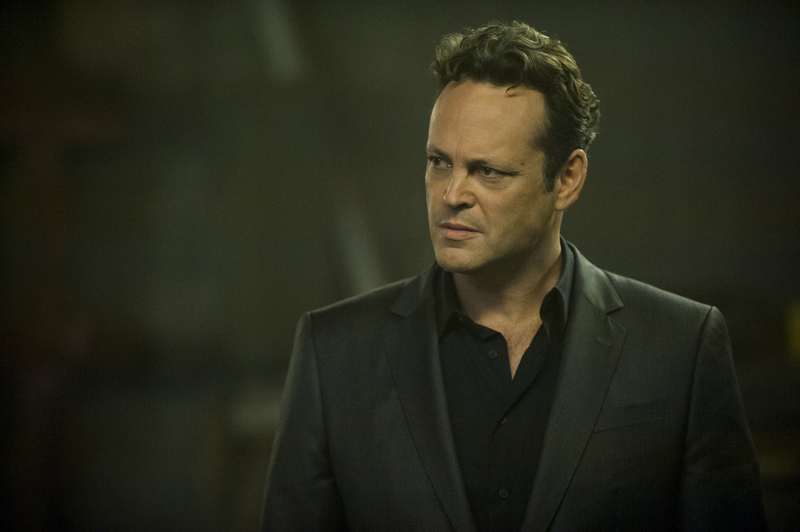 No matter what role he takes, though, Vince Vaughn gives everything he has to the performance. 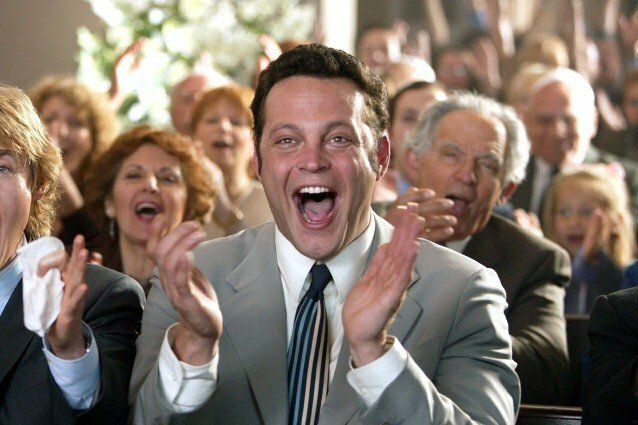 These are the 5 Best Vince Vaughn Roles. 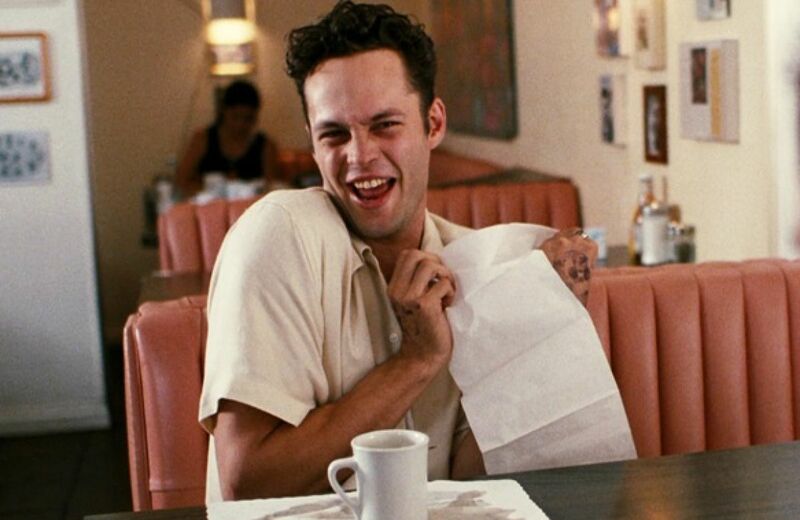 Vince Vaughn makes being a douche look so cool with his performance in this 1996 comedy from director Doug Liman. Swingers tells the story of a struggling comedian named Mike (played by frequent Vaughn collaborator, Jon Favreau) and the trials and tribulations that plague both his career and his personal life. Vaughn plays Mike’s best friend and, in this role, he is so money. This film is where Vaughn developed his rapid-fire delivery that he would become synonymous with, and it was the start of a beautiful partnership with Favreau. Swingers is the movie to watch before a trip to Vegas. But just know, you will never be as cool as Trent Walker. 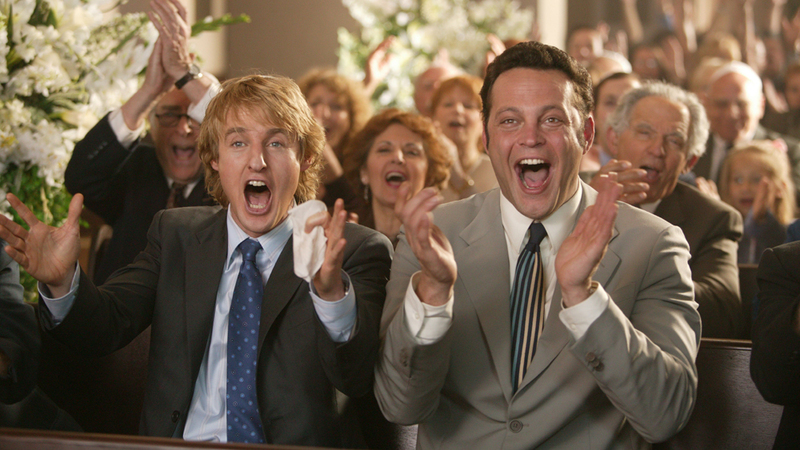 Speaking of cool, the concept of the 2005 film Wedding Crashers is extremely cool, if highly unlikely. In a nutshell, Vaughn and Owen Wilson star as Jeremy Grey and John Beckwith, two perpetual bachelors with a penchant for crashing weddings. They’re just two single guys looking for a great time (both at the wedding and after). The two meet their match when they meet two sisters who actually end up being their respective dream girls. Can Jeremy and John put their womanizing ways in the past, or will Claire and Gloria (Rachel McAdams and Isla Fisher, respectively) become just another notch on their belts? Reuniting with Rachel McAdams for the 2nd season of the hit HBO show, Vince Vaughn reminds audiences that he can play dramatic once in a while. He does exactly that when he plays Francis “Frank” Semyon, a career criminal who gets involved with a massive conspiracy after the death of his partner and city manager, Ben Caspere. Frank begins his own investigation into the death of Ben, all the while trying his best not to alert the detectives looking into it. Colin Farrell and McAdams star as the detectives assigned to the case and it quickly becomes a game of cat and mouse. The only question is, who is the cat and who is the mouse? Vaughn can play creepy very well (his performance in the Psycho remake was the only good thing there) and never is he creepier than this role. He’s not the bad guy, per say, but you still feel a chill crawl up your spine any time Vaughn is on screen. That’s a testament to both the writing of the show and the performance of Vaughn. If you can dodge a wrench, you can dodge a ball. That was advice given to Vince Vaughn’s character, Peter La Fleur, in the 2004 film Dodgeball. It’s pretty good advice and it leads to just one of the many hilarious scenes in this film. Vaughn shares the screen with old friends like Ben Stiller and Justin Long and he shows that the best part about Vaughn is that he is basically an average Joe. He’s a guy that you would want to work out next to at a gym. Unfortunately, La Fleur’s gym is about to be shut down by health nut White Goodman (played by Stiller). Unless Pete and his ragtag group of underdogs can beat Goodman and his team of cyborgs in a game of Dodgeball, his gym will go under. Dodgeball truly is an underdog story and Vaughn has never had more people on his side than in this movie. We’ve told you that Vaughn can be funny and serious, sometimes even in the same movie. But did you know that he is also kind of a badass? As a blue belt in Jiu Jitsu in real life, Vaughn is no stranger to fighting. This is good, because in Brawl in Cell Block 99 he does a lot of fighting. Brawl tells the story of a former boxer turned drug courier who ends up getting caught and thrown into jail. He is also thrown into a web of corruption and deceit. Thomas must fight, not only to stay alive but also to save the life of his estranged wife. Brawl in Cell Block 99 is tough, gritty and, at times, hard to watch. It’s also completely awesome and it proves just how talented, funny and intimidating Vince Vaughn can actually be.